Naomi Cordero Broering is Chief Executive Officer of Broering/ Chauncey Consulting, a library and management group based in La Jolla, California. Currently, she is editor of the Friends of the NLM Update, a monthly online publication and is senior information specialist on health care system development projects. 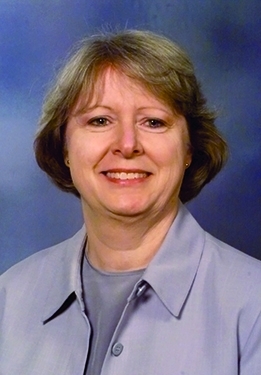 Ms. Broering has over 33 years experience in the biomedical informatics and library field. 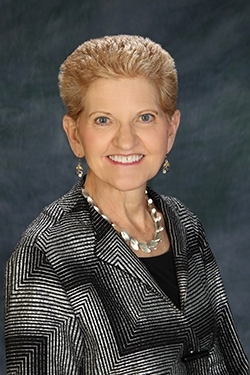 She was Executive Director at the Houston Academy of Medicine - Texas Medical Center (HAM-TMC) Library, and Director of the Regional Medical Library from 1996 to 1999. She was Director of the Biomedical Information Resources Center and Medical Center Librarian at Georgetown University Medical Center, Dahlgren Memorial Library from 1975 to 1996. She is known for developing the Georgetown University IAIMS Project, the miniMEDLINE system and the Georgetown University Library Information System. She has developed a Knowledge Management Center with Knowledge Network databases, Digital Library resources, and a consumer health information system at the HAM-TMC Library. Her skills include authoring and editing journals and electronic publications, successfully leading health information projects, renovating libraries for information technology applications, writing successful grants and contracts, planning and conducting computer and library conferences, producing library publicity videos and speaking on timely health information topics, including consumer health at conferences. 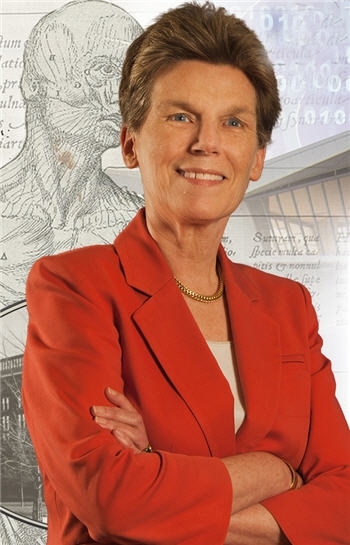 Ms. Broering was President of the Medical Library Association (MLA) in 1996-97, editor of the Bulletin of the MLA, a peer reviewed journal, from 1991 to 1996, editor of the "Capitol Notes" column, MLA News, Member of the Board of Directors and Chairman of the Legislation Committee. In addition, she was Secretary and Board member of the American Medical Informatics Association 1992-1996. She is a Fellow of the American College of Medical Informatics (ACMI), Fellow of MLA and Distinguished Member of the Academy of Health Information Professionals. She received the Special Libraries Association (SLA) 1999 Winifred Sewell Award, SLA 1987 Professional Award for her work on IAIMS, and the MLA’s 1986 Frank Bradway Rogers Information Advancement Award for the Georgetown Library Information System and the miniMEDLINE SYSTEM used by over 40 libraries She writes extensively on informatics and knowledge management in the health sciences (over 200 articles and two books) and has served on the NLM’s Biomedical Library Review Committee, the Department of Education’s Library Grants reviews, and study panels of the Institute of Medicine. She serves as a field grant reviewer for the Institute of Museums and Libraries Agency in Washington, DC and is Adjunct Professor for the Texas Woman’s University, School of Library and Information Science. She earned an MLS degree in Library and Information Science from UCLA,1966, an MA,1963 and BA,1960 (with honors) from California State University, Long Beach. She received a (1966-67) fellowship from the National Institutes of Health (NIH) for postgraduate work at UCLA, where she was a doctoral candidate in History (1963-66). She was an evening Law student while Hospital Librarian at Children’s Hospital, Los Angeles. She is a member of the Chancellor’s Associates at UCSD in La Jolla, CA.